Generator and emergency power systems for offshore purposes. Nordhavn delivers complete generator systems for main and emergency power in offshore wind turbines. 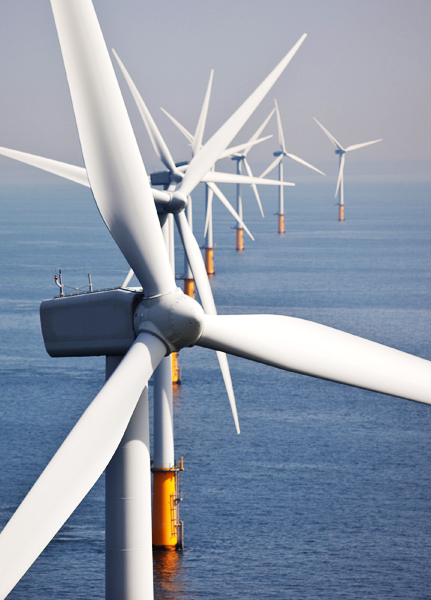 Our systems comply with the specific regulations appropriate to the sector concerning issues such as safety, environment and the fact that the turbines are located at sea and can be difficult to access for long periods of time. Customised solutions are often required with regards to size and shape, as there is only limited space available in turbines. Our engineering and design department is up for the challenge and will find the right solution. Because turbines are inaccessible for sometimes long periods of time due to weather conditions, Nordhavn has invented a system to prolong the intervals between service checks. This allows for better operational reliability and reduces costs for visits to the turbines. Having central surveillance of systems is a common request, and Nordhavn offers this possibility as well, combined with a customer specific service agreement when asked for.